Abstract: London, a beautiful city full of history attracts you to pay a visit. For avoiding fatigue from the travel, you'd better take Airwheel S6 to help you have a wonderful trip in London. Europe has a rich history in its backdrop and a scenic geographical heritage that makes it a No.1 vacation destination among tourists from all over the world. It's good for a romantic getaway, a family picnic or a teenagers' world tour. Europe holds an indispensable position among travel locations. Of course, London is in the very first place. The capital of the United Kingdom is a beautiful city that offers a plethora of scenic meadow, spectacular, astonishing places and close-to-impossible architectural feats like the London Eye. As we know, these places worth visiting are roomy and grand. It's weary in the body to visit by foot; it's costly to rent the sightseeing vehicles. 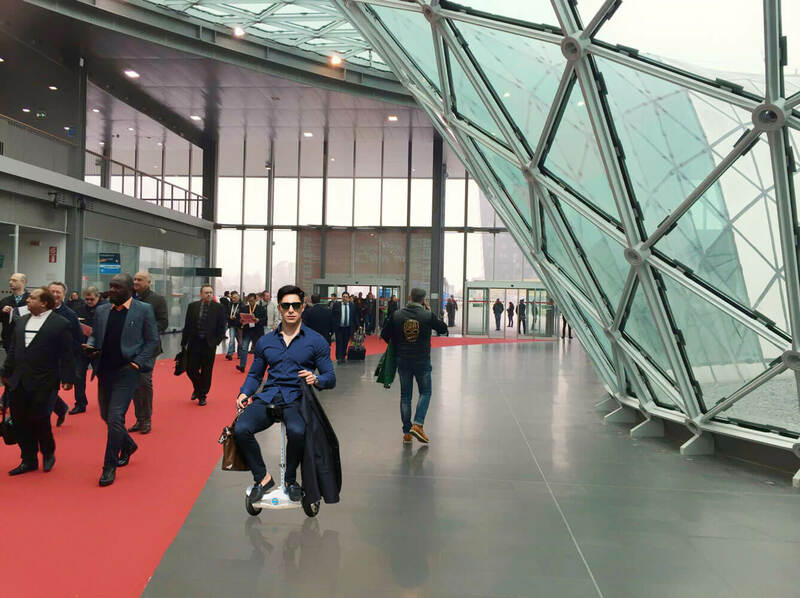 Actually an Airwheel S6 electric walkcar is the right vehicle to travel with you in these scenic spots. Any spots you want see in London, you can ride S6 equipped with two 8-inch tires. The distance between two wheels is 50cm, and width of wheel is 26cm. It can challenge some narrow roads or aisles. It's easy to squeeze into scenic region. S6 two-wheel electric scooter does not need a gas pedal or steering wheel since it's powered by green energy resource, and its steering directions depend on body's leaning. This feature extremely serves as a foil to visit museums or historic houses. After a long journey to reach London, you never plan to view one spot. Hence sole riding pose like sitting to ride must make you feel tired. However, S6 electric walkcar comes with a seat that is for different heights thanks to the height adjustment lock on the support rod. By this way, you can enjoy two alternative riding poses, which makes the trip more enjoyable and relaxing.